With four weeks down and three to go (for me at least! ), I have worked at Blacks Creek, Piers Park, and the Boston Children's Museum. As stated in previous posts, I have enjoyed working at various locations because each audience, setting, and set of activities are unique to each site. This is why I enjoy working beach events. 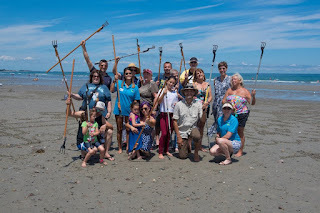 So far I have completed two beach events this summer: one at Nantasket Beach and one at Carson Beach. I have liked the beach events because they allow me to interact with a new audience in a new setting with new activities. 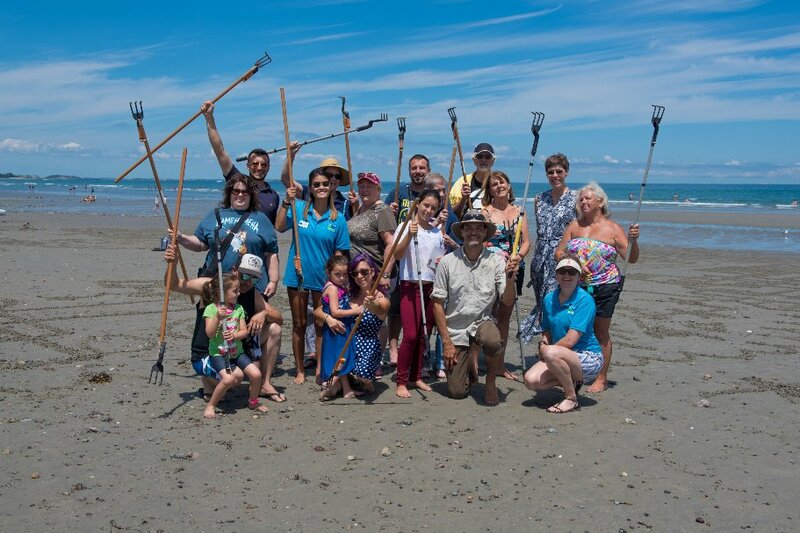 The event at Nantasket Beach was a sand raking event with Andres Amador, a professional landscape artist. The event was basically several open sessions with Andres where people followed the instructions of Andres to create art in the sand. I participated in the first session to assist Andres in any way he needed. We began to create different shapes in the sand, such as circles, squares, spirals, etc. After the first session, Andres asked everyone at the session to say a word that described their experience. Some of the words stated were calming, imaginative, and fun. Numerous people came up to the session or to the open sand raking section of the beach saying, "I am not creative enough". Once they started raking the sand, however, they realized their artwork was beautiful and that sand raking is less restrictive as drawing or other forms of artwork. The pictures from that event have not yet been published. The second beach event I participated in was the Beach Bash and Splash! It was at Carson's Beach, a place I have not been to yet. 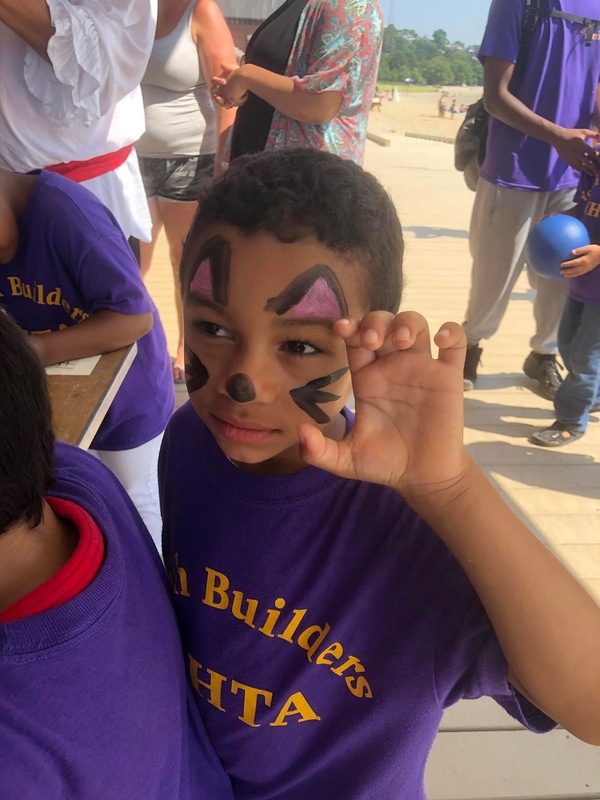 There were several activities our staff were leading, but I was at the face painting station. Upon arrival, I had no idea what I would be doing but I was excited to learn that I would be at the face painting station. At first I was really insecure about my face painting skills. I was insecure because I did not want the kids to be embarrassed or for people to ask what the kid was supposed to be. After painting a few kids' faces, I noticed how happy they were once I painted their face despite how "good" it was. It definitely taught me that being "good" often times prevents me from having fun and being in the moment. Working with kids this summer has taught me lessons like this. One of the faces I painted!